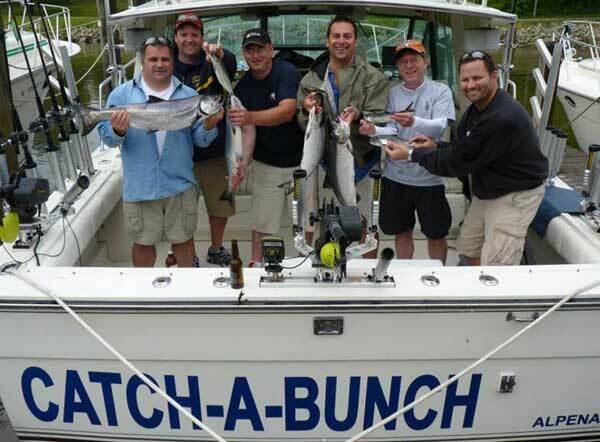 Catch-A-Bunch Fishing Charters in Grand Haven, Michigan on Lake Michigan for Salmon and Trout. Catch more fish with Captain Retherford and Crew. Take the whole family on our comfortable Tiara Fishing Yacht. Take a kid fishing today!